Collection of the props for upcoming Styling Shoot. 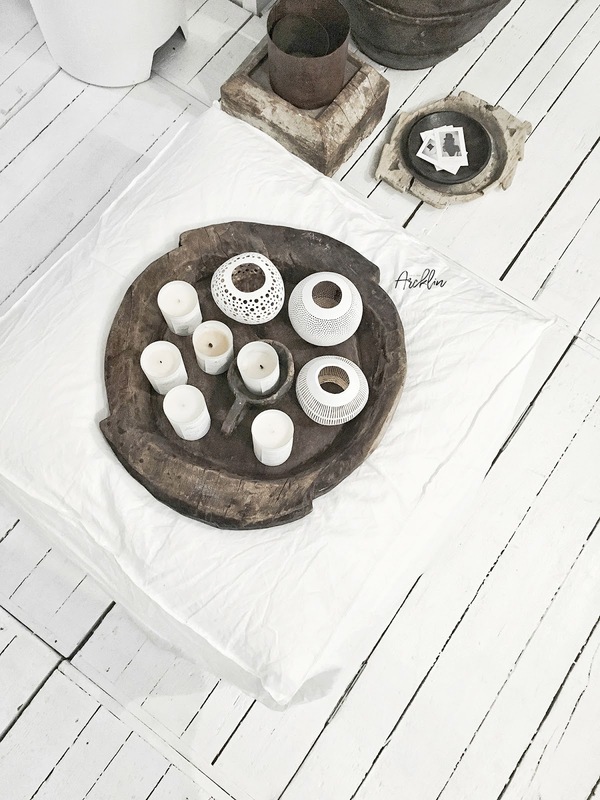 I love combo of old wood and fresh white and Gervasoni Ghost linen covered ottoman! Scentend soya candles are from Pour l'Air (Nap Lovers is my favourite one!) 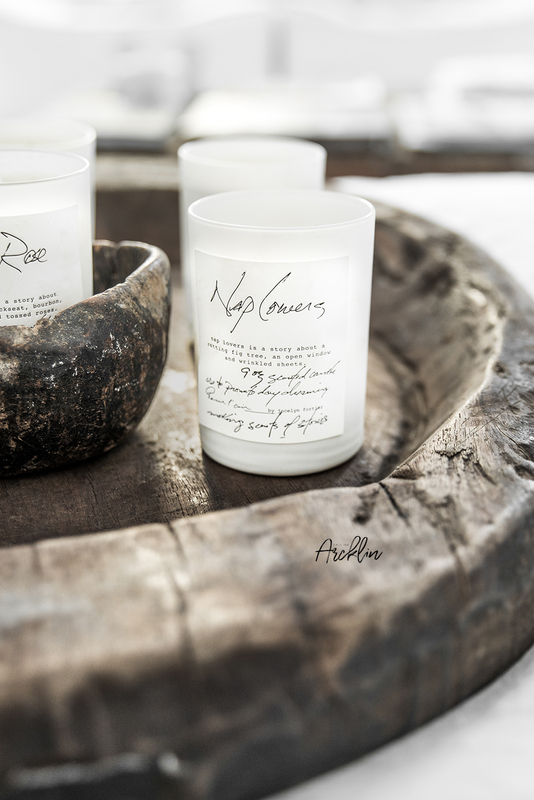 and Coconut candle holders from l'Etoile webshops, old wooden ray is unique and from One World Interiors.